Following another school shooting, this one leaving 10 dead and 10 injured in Texas, Houston’s police chief is calling out elected officials for their failure to protect the children they claim to hold so dear. Police Chief Art Acevedo posted a pained message on Facebook after Friday’s shooting in the nearby town of Santa Fe, in which a 17-year-old student at Santa Fe High School gunned down his classmates and a teacher. Acevedo said he has had enough inaction when it comes to protecting children. He had a message to those who would choose their guns over the safety of kids. “I know some have strong feelings about gun rights, but I want you to know I’ve hit rock bottom and I am not interested in your views as it pertains to this issue,” he said. Friday’s massacre was the 22nd school shooting of 2018. It is only May. 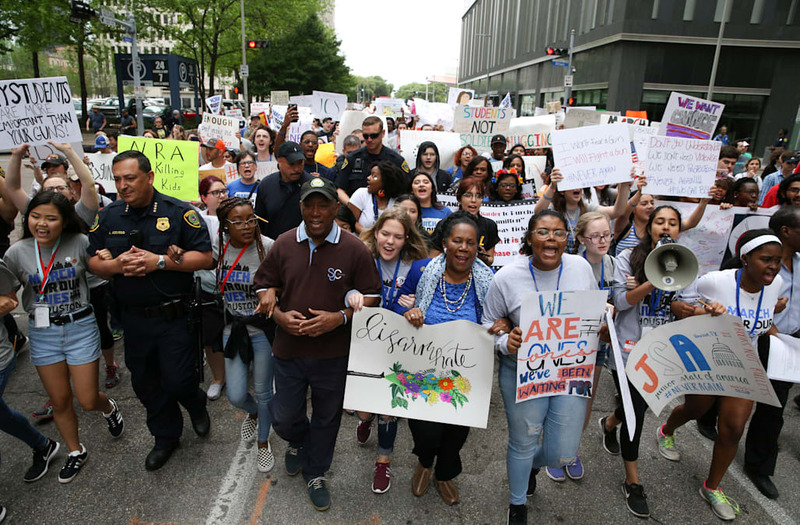 The police chief previously marched with demonstrators during the March 24 March for Our Lives event, held in response to the Feb. 14 mass shooting at a Parkland, Florida, high school that left 17 dead. “This isn’t a time for prayers, and study and inaction, it’s a time for prayers, action and the asking of God’s forgiveness for our inaction (especially the elected officials that ran to the cameras today, acted in a solemn manner, called for prayers, and will once again do absolutely nothing),” Acevedo added.